This topic has 0 replies, 1 voice, and was last updated 1 week, 2 days ago by Brett Warthen. This intriguing new device could inspire a new World Parkinson’s Day tradition. 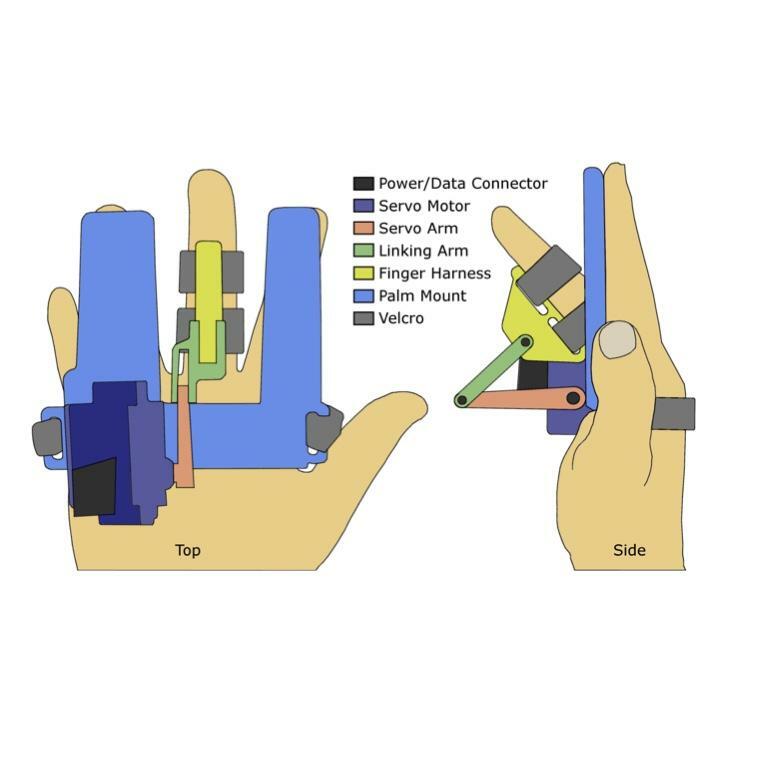 In addition to helping diagnose Parkinson’s, the BiRD (Bionics Institute Rigidity Device) offers a therapeutic benefit to patients by bionically assisting them in defiantly raising their middle finger at Parkinson’s Disease. Researchers from Bionics Institute in Melbourne Australia have developed a small, palm-worn device to help diagnose Parkinson’s disease—a condition which is otherwise difficult to identify. The BiRD attaches to the patient’s hand via Velcro straps and employs a motor to repeatedly bend the patient’s middle finger for 30 seconds. Integrated sensors measure the force required to bend that finger.